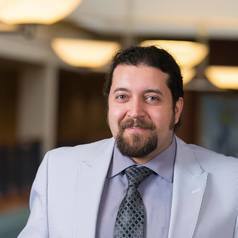 Shervin Assari, MD MPH, is an assistant professor of Psychiatry and Public Health, University of Michigan, Ann Arbor. His research is focused on health disparities due to race, gender, and class. With 15 years of research experience, Assari has published 250 peer-review papers. He has served on the Board of Directors of the American College of Epidemiology (ACE) and American Academy of Health Behaviors (AAHB). He is a Fellow of the New York Academy of Medicine (NYAM) and Society of Behavioral Medicine (SBM). He is the past president of the Scientific for Public Health in Iran (SAPHIR). He is currently a visiting professor at UCLA.